I picked up two of these 12.7 Fl. Oz. bottles. One I wanted to try, the other I plan on sitting on for quite some time I am hoping. I have never tried this beer of any vintage, and have probably done more reading about it than anything. At Beer Advocate, many craft beer enthusiasts have ranted on about carbonation issues, the price, and how much of a turd Tomme Arthur is. 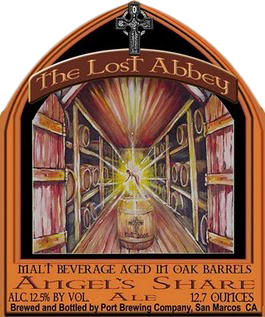 I will say this: Port and Lost Abbey know how to brew some of the finest beers in the world. But yes, beers had been released that would not have passed quality control at so many others. The beer was very expensive. For this one fine glass of beer, I paid $18.99 which is pretty much the going rate at most places. I will say this too: The beer is very under carbonated. Let's get to the review. This vintage is 11.5% Alc. - Quite the heavy pour into a small Rogue flute glass (all I really have at the time being). 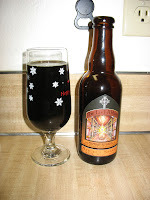 Pours a very dark cola brown with some slight off-white bubbly head.. only a paper thin layer which has pretty much vanished and left the smallest little ring around the perimeter of the brew. Its a nice color, but shows a major lack of carbonation. - Wonderful esters, grape, fig, vanilla and oak. A wonderfully sweet malt backing up all the scents. I sure hope it tastes as good as it smells. Such a smooth girthy malt and earthy aroma. One of the best smelling barleywines I have experienced. Brandy indeed. - Wonderful esters, fig, and prune notes. Nice subtle brandy notes riding strong along side a wonderful vanilla oak. Greatly melded with rich toffee and caramel malts.. seemingly concentrated down so much into one of the best tasting barleywines. Slight heat from the alcohol, but even as new as it is, it is very well hidden in the wicked good balance and blend. Seriously a great beer. 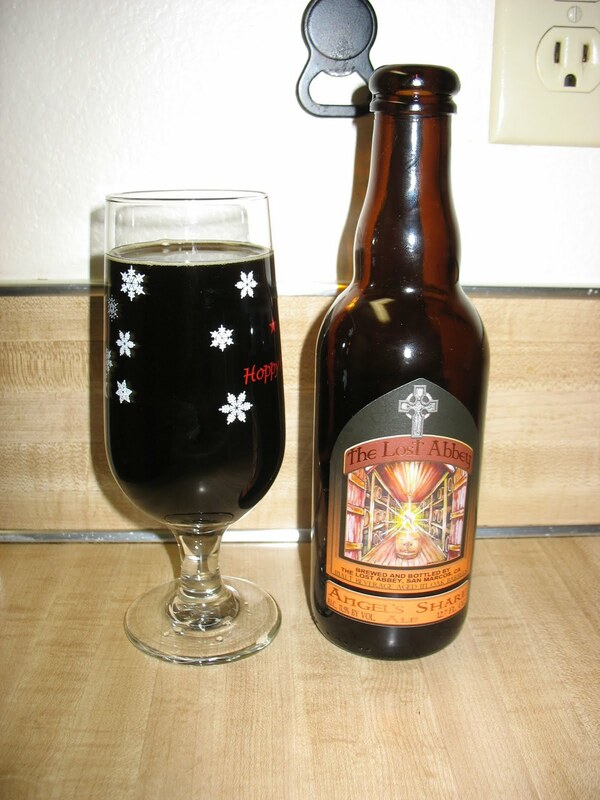 - Medium to light bodied, and just a very slight carbonation that allows a little bubbling on the tongue. It's still enough to call it a beer, though rather short. Slightly mouth watering from an underlying tartness, and a touch chewy from a sweetness that is unmatched. Simply not carbonated enough though at this time. - It is such a shame that at this time the beer is so under carbonated. The look of the beer suffered greatly because of the lack of head, lacing, and stability. The mouth feel suffered because it became only a bit watery feeling because of the lack of carbonation as well. Everything else about the beer is stellar. I can't seem to understand why after so many years of this beer being under carbonated, that the issue hasn't been resolved. I am guessing that the yeast in the bottle and some time on my other bottle will hopefully take care of this issue years down the road though I am not keeping my hopes up. Taste and smell though is like no other.